Here’s what we, and every other women, like in an investment handbag: We want it to look sophisticated and timeless. The best ones are all of the above, but come with a hefty price tag. But alas, enter there croc-effect handbags - the exception to that rule. Croc-embossed leather has that luxurious heritage feel that brings to mind a treasured family heirloom. Rustic but rich, and quaint without looking dated – the perfect formula for the makings of an Instagram-worthy It-bag. And the best part is, it won’t cost you an arm and a leg for one of these babies. Falling in the $400 to $1,000 bracket, some of these accessible croc-effect bags are considered a steal. Look out for modern shapes like Rejina Pyo’s rectangular clasp bag, and energised colourways. 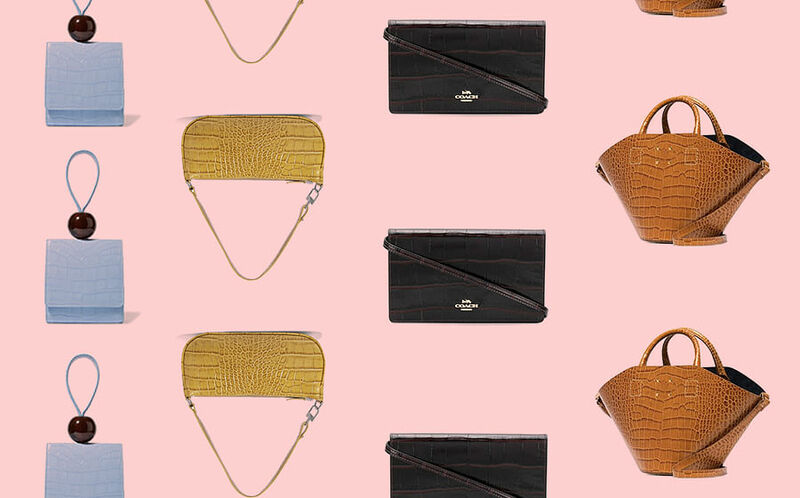 Ahead, we’ve round up our favourite faux croc skin bags to shop right now. Embossed with refined etchings of crocodile scales, the Instagram-famous Rejina Pyo Olivia clutch bag has gained stardom for good reason. It’s dainty, elegant and manages to look both like a treasured vintage gem and a modern must-have at the same time. A quick sleight of hand at switching the gold-tone clasps helps you transform the look of the bag in an instant, from a clutch to a top-handle bag, which renders it a perfect ally for a day-to-night look. Staud seems to have come up with the perfect theorem in concocting a covetable It-bag that’ll reign over Instagram every season, and it’s sticking to it evidently as seen in this Edie tote. In a distinctive geometric bucket bag shape and crafted from glossy croc-effect leather, the Edie tote's clean cut lines have wowed us over. Famous for its cult-status Tanya sandals, Australian and Bulgaria shoe brand By Far is inevitably well-received among the fashion crowd. The same can be said for this sky-blue 'Ball' tote, a vintage-inspired rectangular wristlet tote with modern details. Chic and clean, this bag stands out with its oversized resin sphere charm. From Budapest label Nanushka’s Fall 2018 collection, the Minee bag makes a winning case for the fashion world’s current obsession with the belt bag. Perfectly sophisticated without a tinge of tackiness, this micro-bucket bag is made even more chic with its beige colourway. 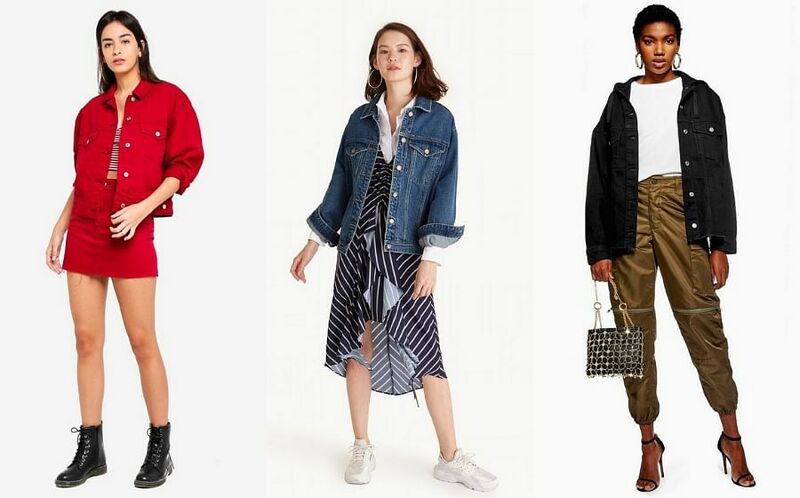 Synergising two prevailing trends of the A/W ‘18 season, the round-shaped bag trend and high-shine glossy textiles, the rich emerald 'Indy Circle' is a strong contender when it comes to the index of cool-girl bags to own. Peep the tortoiseshell-trimmed handle – a fun throwback to Summer 2018’s hottest trending detail. Turning the concept of a typical bucket bag on its head, Staud’s 'Britt' bag has a structured base with the added detail of a suede lining that spans beyond the base and doubles as a handle. With an adjustable knot, this deep brown glossy croc-embossed leather bag is not only a fan favourite, but a lovely investment piece too. We love this bag because a) it’s been sported on trendsetter Bella Hadid more than a few occasions and b) it was inspired by style icon of her time, Jennifer Aniston’s character on ‘90s tv show Friends (and hence the name). Rendered in a delightful mustard hue, this long rectangular bag is minimalist-friendly and the true epitome of ‘like-baiting’ on Instagram. Effortless and simple, this timeless clutch bag from Coach is a versatile must-have that’ll go with any outfit you don. If you’re not one for extraneous frills, this number may be your cup of tea with its straightforward approach to design. New York-based label Trademark gives the term ‘basket bag’ a new meaning with its own rendition in tan embossed crocodile leather. It comes with a removable silk shantung insert that can be tied loosely on top and a crossbody strap. We admit we’re going out on a limb by including this number, given how it’s significantly more expensive as compared to the rest. We just couldn’t resist, what with its unique design and contemporary charm. Chiming with Lemaire’s considered minimalist approach to modern and functional styles, the quintessential Egg bag was crafted with a curved shape that’s held up by wooden moulds to give it a firm structure.